Aerojet Rocketdyne, a subsidiary of Aerojet Rocketdyne Holdings, Inc. (NYSE:AJRD), successfully supported the launch of NASA’s Origins, Spectral Interpretation, Resource Identification, Security-Regolith Explorer (OSIRIS-REx) spacecraft, now on its way to a near-Earth asteroid, called Bennu, to bring a sample back to Earth for study. The mission was launched from Cape Canaveral Air Force Station in Florida aboard a United Launch Alliance Atlas V rocket. 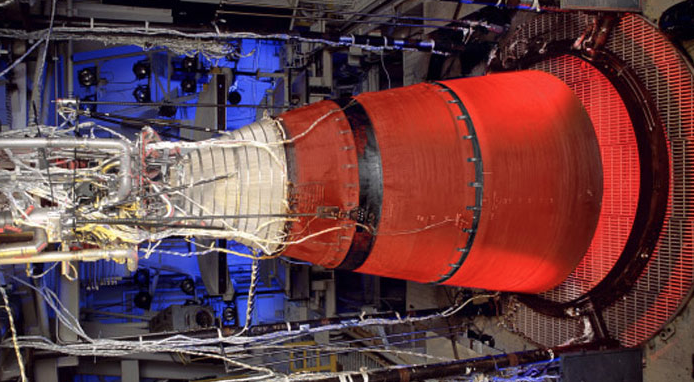 Aerojet Rocketdyne propulsion on the Atlas V included one AJ-60A Solid Rocket Booster (SRB), the RL10A-4-2 upper-stage engine, six helium pressurization tanks, a dozen Centaur upper-stage Reaction Control System (RCS) thrusters, as well as all 28 propulsion devices on the spacecraft. Aerojet Rocketdyne's contribution to the OSIRIS-REx launch began when a single AJ-60A SRB ignited to provide additional thrust to the Atlas V rocket. The 67-foot long motor case contains more than 90,000 pounds of propellant, providing an average of 250,000 lbf of thrust. All Atlas V launches requiring extra boost have flown Aerojet Rocketdyne produced SRBs, which have achieved a 100 percent success record in flight since their inaugural launch in July 2003, more than 13 years ago. After the upper stage separated from the rocket, a single Aerojet Rocketdyne RL10A-4-2 upper-stage engine ignited to place the payload on its path toward the asteroid, helped by the Centaur RCS thrusters and pressurization tanks. The RL10A-4-2 engine delivers 22,300 pounds of thrust to power the Atlas V Centaur upper stage, using cryogenic liquid hydrogen and liquid oxygen propellants during its operation. Aerojet Rocketdyne is an innovative company delivering solutions that create value for its customers in the aerospace and defense markets. The company is a world-recognized aerospace and defense leader that provides propulsion and energetics to the space, missile defense and strategic systems, tactical systems and armaments areas, in support of domestic and international markets. Additional information about Aerojet Rocketdyne can be obtained by visiting our websites at http://www.Rocket.com and http://www.AerojetRocketdyne.com.